ground, or also in the middle of thorns? The answer is: In His love, God gives everyone opportunity. He does not wish death of sinners, but pleased of their return. If only we know that we should not only accept God's word, but also hold it fast in an honest and good heart, and bear fruit with patience. 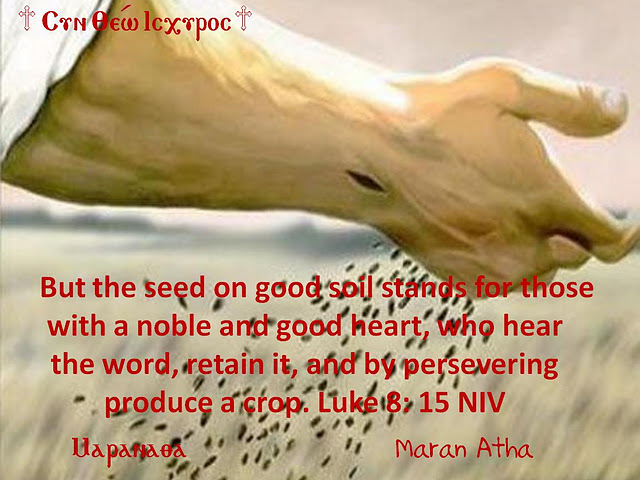 8 Still other seed fell on good soil. It came up and yielded a crop, a hundred times more than was sown.